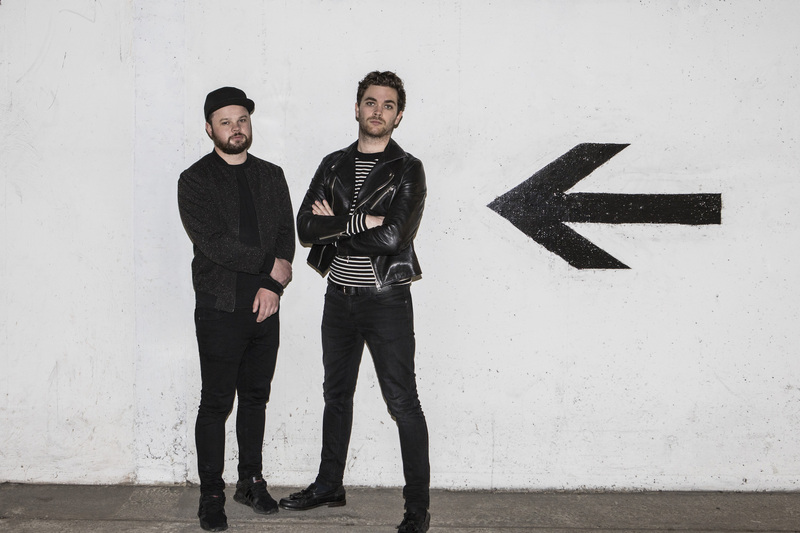 The English rock duo, Royal Blood, recently released their sophomore album, How Did We Get So Dark? with Warner Bros. The record, like their previous self-titled 2014 record, charted at number one in the UK. 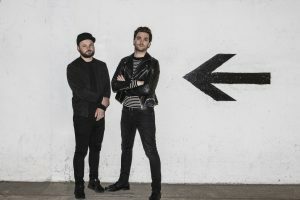 Consisting of lead vocalist/bass guitarist, Mike Kerr and drummer, Ben Thatcher, the duo has received rave reviews for both albums and have toured practically non-stop along such notable acts as The Foo Fighters, Arctic Monkeys, Metallica, Mötley Crüe, and Guns n’ Roses. 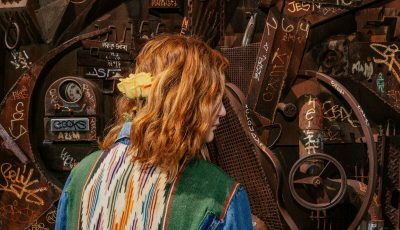 In a recent interview, Ben Thatcher discusses his reaction to the Manchester attack in May, the death of musical legend Chris Cornell, the current state of rock in the music industry today, and the possibility of doing a hip-hop collaboration someday. Being from England, how do you feel about the terrorist attack in Manchester at the Ariana Grande show? It’s terrible. It’s awful what happened. It was quite a sobering moment in the city. The city was united after the event. I was in Manchester the Thursday afterwards and they took a minute of silence to pay their respects in the morning. You take hope from that spirit. Would you want higher safety and security standards for concerts after a tragedy like that? I don’t actually know. I think that anyone going to any live music event should be going there to have fun and to feel safe in that environment. That’s where people go with young children. It would be disappointing and horrible if this were to affect people from going to live concerts. Any extra security measures immediately after the Manchester attack were probably warranted given that everyone was on critical alert, but everyone must be safe at our shows anyway. We wouldn’t want anyone to get hurt or injured and of course, we wouldn’t want anything to happen like it did that Monday. There was a lot of tragedy for music this last May. Rock fans were devastated with the death of Chris Cornell. How did that affect you? Shocked. I am a big fan of Soundgarden and Audioslave. What a legendary voice to be taken away. It’s a real sad loss. We do a lot of these sessions where we’ve got to do covers and we may do one for Chris Cornell. Being a big football (soccer) fan, is there a scenario where you could perceive the worlds of Royal Blood and football crossing over? Funny you say that because Brighton is my team and we run promotion for the premier league. We were in Toronto recently and the city of Brighton were holding a promotion party where 100,000 people come and watch the team go through the city on an open bus to celebrate the promotion. We got asked to play the event. We were going to land at 6am and then play a show around mid-day in the middle of town, but unfortunately due to police restrictions, the city council didn’t feel that it was the right stage setup for us to do that. Instead, I went along and had a wave. I would love to do that though. A lot of our music gets synced into football stadiums. I would never say never. How do you feel about the band’s visual representation in the music videos for “Lights Out” and “Hook, Line, and Sinker”? As far as I understand the process, briefs are sent out to directors and production companies and then we start seeing treatments come through to us. The “Lights Out” treatment was pretty mad and I think that’s what we really liked about it. 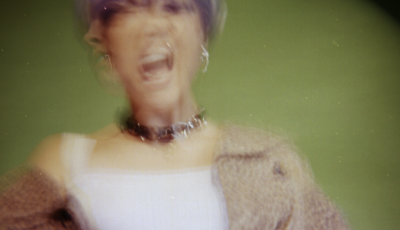 For the first single back, we thought that this could be cool and kind of out there. It was a bizarre experience. We were in the middle of Kosovo for that shoot where we spent 17 hours in a warehouse with freezing cold water. It was surreal and we’re really happy with how that came out. The “Hook, Line, and Sinker” video was from our first show back after this record. We played in our hometown, Brighton, at a small venue called The Concord. We had someone film it and you know, that track is just such a great live track, which is why that had to be a live video. How do you feel the new record compares to your last record? There’s a definite progression. We didn’t really have a formula or rulebook for it. We came off the back of that first record and spent two and a half years touring it. We had three weeks down time and then went back in to start writing down ideas. That took us to a few different places for inspiration like Nashville, Los Angeles, London, and Brussels. I have some more interesting parts for me to do like we have some triggers now on the drumkit to play the things that we recorded because, you know, it’s still just the two of us on stage playing live. 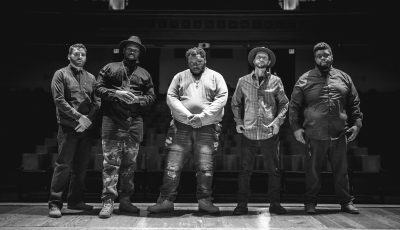 The new record is more groove-based and not necessarily all about the riff. There’s a lot going on in some of these songs. For example, Mike is trying some interesting things with the vocals, and, we’ve got keys here and there. I’m really happy with it and excited that people can hear it now. We started playing shows now and it’s great to be playing new tracks after such a long time playing that first record. We’ll be playing songs from that record as well, but now, we have that rehearsed real tight. There felt like a theme in the lyrics on the last record of love and heartbreak. Hahaha. It’s a similar theme lyrically on this one where Mike follows on the same experience. It’ll probably appeal lyrically to the same people as last time. What is your favorite song off the new record to play live? “Hole in Your Heart” is probably my favorite tune to play live now. It has a keys intro and is a fun one to play. You have played with quite a few interesting acts. Was there any wisdom or lessons you learned from playing with those bands? Well, like the Foo Fighters, for example, are so dedicated. Playing with The Foos, I am really impressed with their dedication. They had a practice room at these venues that we’d turn up in and Taylor Hawkins would be drumming in there for like an hour to an hour and a half before a three-hour show. To see how the guys would be rocking out like that, with that kind of commitment, is just incredible. At that time, Dave Grohl was sitting on his throne with a broken leg, but he kept playing anyway. That taught us that if we ever get to the stage where the venue we are playing has a spare room that it would be an amazing benefit to have that space there so we can rock out before the show. I think that that’s the level that we’d like to get to. Every night, the Foo Fighters’ show was just so intense and their performance was spot-on. They’re machines. Three hours is a long time to play for at any age. They’re true professionals and the loveliest guys as well. They made us feel really welcome. I took a lot from them. Now that you have seen success as a band, are there any other bands or genres that you would like to work with? We’re always open to just about anything. We’re always looking for collaboration and there’s always been an idea that we’d have a hip hop collaboration at some point. We never really sought out to do that, but if something happens naturally then so be it. We’ve been so fortunate to play with a lot of acts that we have such a huge amount of respect. We always take something away from them when we go out on the road to do some of these one-off shows. You know, we’re certainly grateful to play with acts that we’d never dream to be able to play with like the Foo Fighters, Metallica in Brazil, Mötley Crüe, Arctic Monkeys, and Guns n’ Roses. Now that we have the opportunity, we try to learn and take something from these artists and apply it to what we do. If you could, what would you say to your younger drummer boy self now that you’ve seen this kind of success? Keep going. Never give up at all. Always have fun. What do you think of the current state of the music industry, especially for rock as a genre in general? I think that there needs to be more things coming through to the mainstream. There is that thirst for rock bands in live music. We gotta encourage people to pick up guitars, drums, and form those bands in the back of garages. We still gotta support rock music and get it out there. There are fans of it with people growing up that will need that band for those people to champion. Those people want to go to that band’s gigs and in turn, inspire those people to pick up instruments and form their own bands. I think it’s important that there’s always new things coming through and doing that. What do you think about the evolution of your sound? We primarily write records for ourselves. We write what we like listening to and playing. It’s never a conscious effort to make something sound a particular way to serve any other purpose than what we like. Some of the songs we wrote started with us just joking around and then suddenly, you know, that sort of joke-y riff we were playing with turned into a serious song. Having fun for us is really important and it keeps our friendship tight and easy. There’s no stress or drama. We just go out there and have fun and want everyone else to have fun with us. How would you describe the musical connection between you and Mike? It’s a bit of a psychic sort of connection. We have moments in the set where we both look over at each other and we both know that we like this part. We love this part. Mike will have a certain moment in the set that’s his favorite song and I have my favorite song. It’s interesting to see people, as well, in the front row, the back of the room, or wherever they are, singing the lyrics or with a smile on their face. That energy gives you a buzz, a rush, and we love it all. We love spending time in the studio writing these songs, going on the road playing them, and we’re just really very fortunate that we’re in the position to do this. I always ask this next question and I have had some interesting, varied responses. In your opinion, what is the difference between music and noise? Did I throw you a curveball? Hahaha, yes. Wow. That is a deep one. I think you can’t dance to just noise. Music has a way of touching people far beyond noise, as well as with what you can do lyrically, noise just won’t cut it. There are so many elements that make up music that sets it apart from just noise. The relatable qualities of… I’m just saying words now, hahaha. You know what I mean though. Is there anything that you would like to say to your family, friends, and fans out there? We’re just really thankful to be able to go out and do this. I hope people enjoy the new record and see them at a show. We always give 100% at every show that we’re playing. I hope to see as many people as possible on the road. Let’s carry on the love. 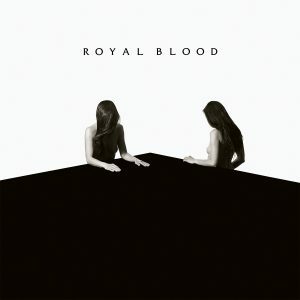 Royal Blood’s new record, How Did We Get So Dark? is available now for purchase and they are currently on tour in support of that record. For more information, go to royalbloodband.com. Jonathon is a Los Angeles native who's been writing in a variety of publications covering a variety of genres for fifteen years. He plays drums and has been in multiple bands with songs played on the radio internationally. He also performs stand-up comedy, acts, and produces films. He loves music and meeting musicians. He has a Bachelor's degree from Cal State Northridge.